Enjoy this wonderful rendition of New York City's famous landmark as it appears during the Christmas season. It will make you want to throw on a pair of ice skates! All of our signature jigsaw puzzles are made in the United States with recycled materials. Fully interlocking and randomly shaped pieces make for a pleasant puzzle building experience. Each jigsaw puzzle is produced on thick, quality board perfect for mounting and framing. This puzzle includes 1000 pieces and measures 30" x 24" when completed. Artwork by Randy Wollenmann. I definitely recommend "Rockefeller Center", an Eric Dowdle puzzle. 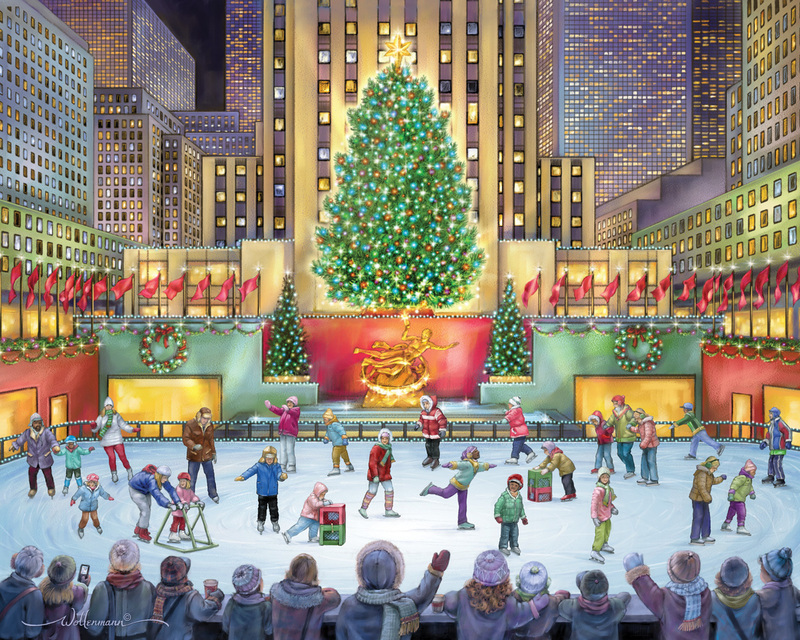 This is a cheerful, beautiful folksy rendition of Rockefeller Center at Christmas time. Excellent quality and lovely colors. So pretty.